A homeowner in East Hartford, CT called about a leak on the ceiling against the fireplace. Every rain, more water came in through chimney masonry. We found the chimney had old masonry pre-cast stone adhered to an underlying saturated and deteriorated brick. 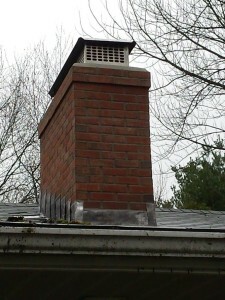 Water would enter cracks and not drain out and eventually the chimney would leak into the house. 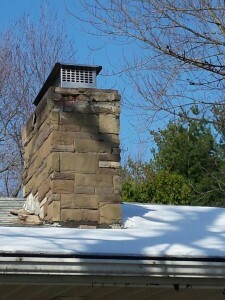 Safeside Chimney tore down and rebuilt this chimney in East Hartford, CT with all new chimney flashing, flue tiles, brick and re-installed the chimney cap. The leak is now gone.